Note: The first few instructions below is for an initial connection to the BAFX ELM327 device. If you have already paired the BAFX ELM327 device to your phone or tablet, proceed to Step 4. 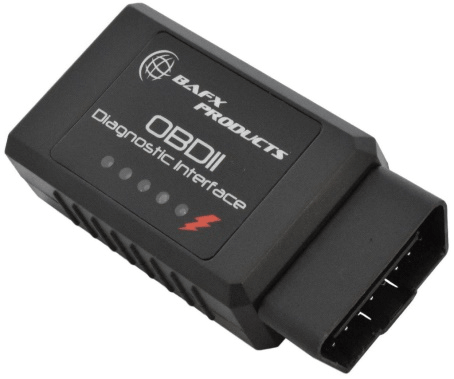 Step 1 – Connect the device using BAFX ELM327 to J1939 Adapter Cable. The device plugs directly into the J1939 adapter cable. 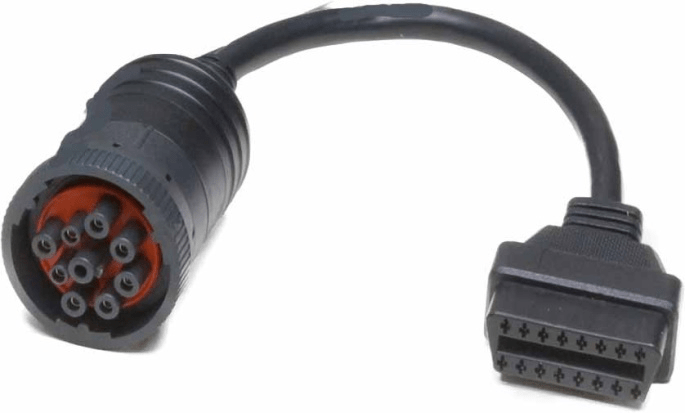 The cable then plugs into the vehicle’s J1939 socket. The device does not have special prerequisites or installation from authorized personnel. After the device is plugged into the socket, the red LED turns on and stays on constantly. This means the device is powered and operational. The other lights come on when data is being transmitted. 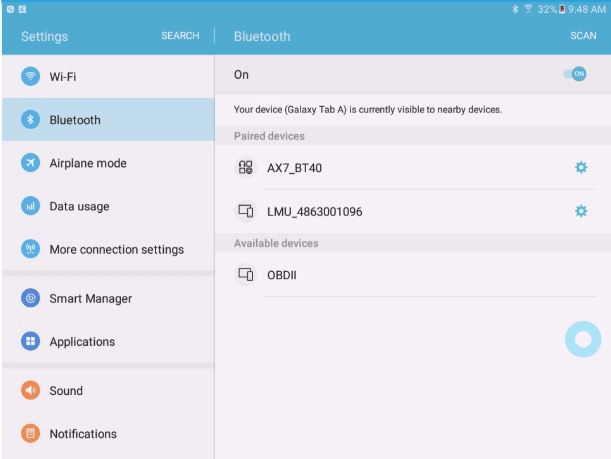 Step 3 – Pair your Android phone or tablet with the BAFX device. 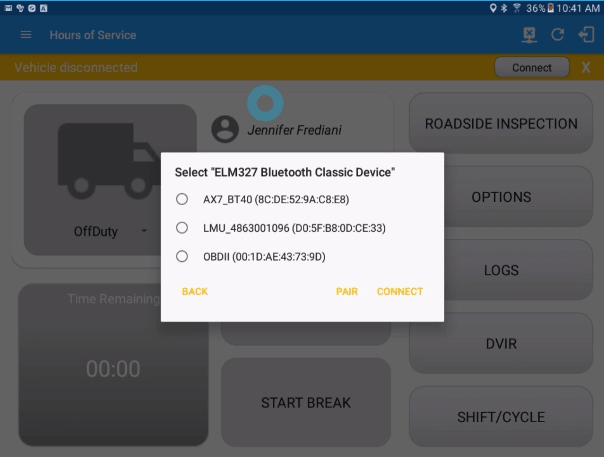 After a few seconds, the “OBDII” device should appear on the list of the Available Devices. If the device is not available in the list, make sure you are in close proximity to the BAFX ELM327 device (less than 32 feet or 10meters), and the BAFX ELM327 device is powered on (see Step 1 above). 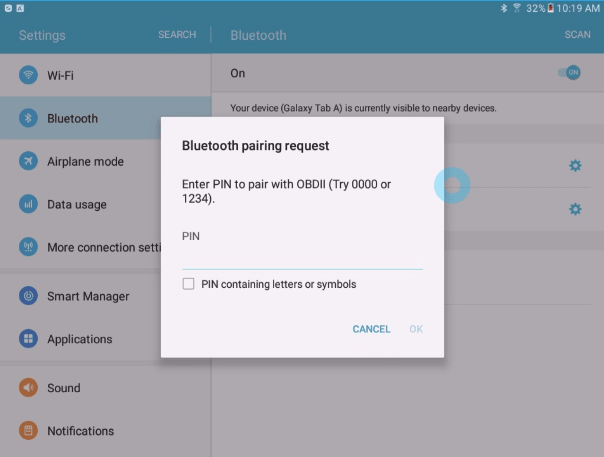 Tap on the “OBDII” device, then the device goes into pairing mode and the “Pairing…” message is displayed. 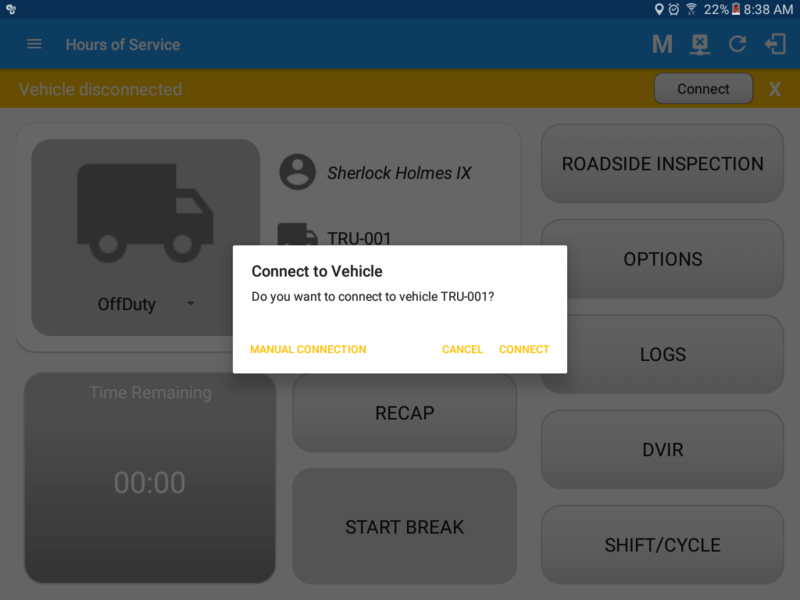 You can rename the paired “OBDII” device into something more meaningful, like “Truck 1” if you prefer. 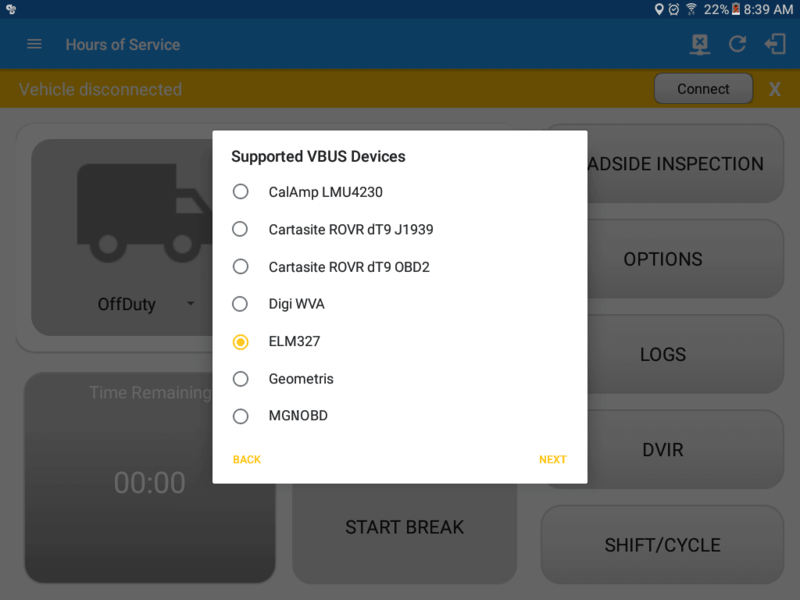 Tap on the blue gear button (*) to “Rename” or “Unpair” the device. 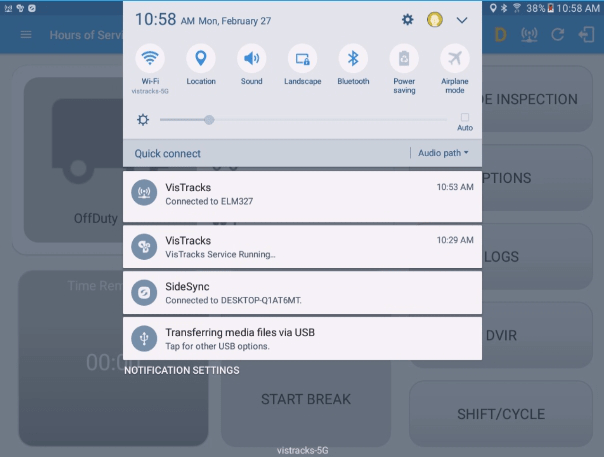 Step 4 – Use the VisTracks Mobile App with the paired BAFX ELM327 device. 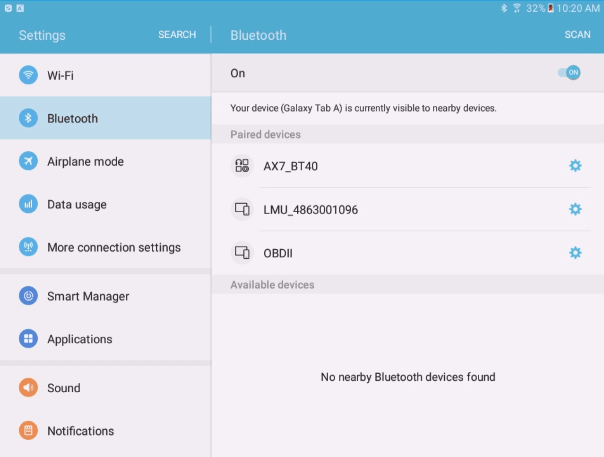 Connect button – Select ‘OBDII’ from the device list then tap the Connect button. 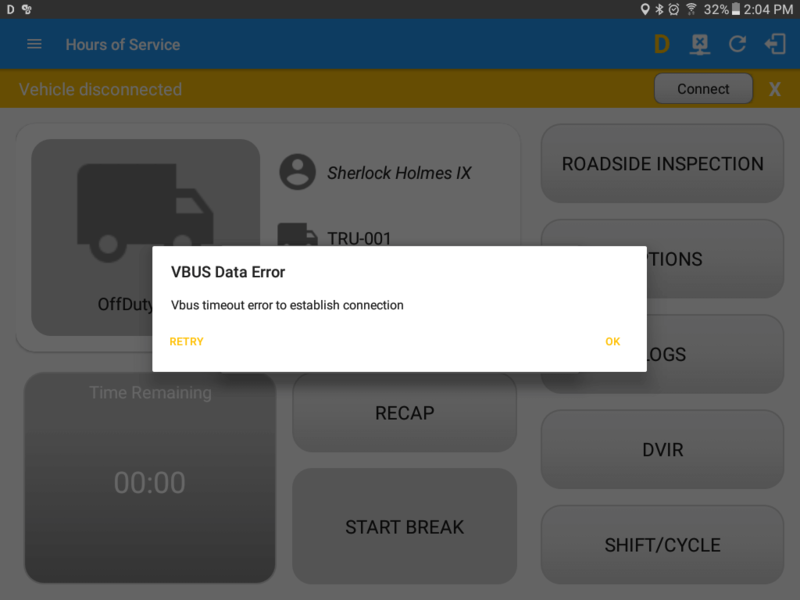 ○ If the VBUS connection results to an error (given the following situations below), an error dialog will display. 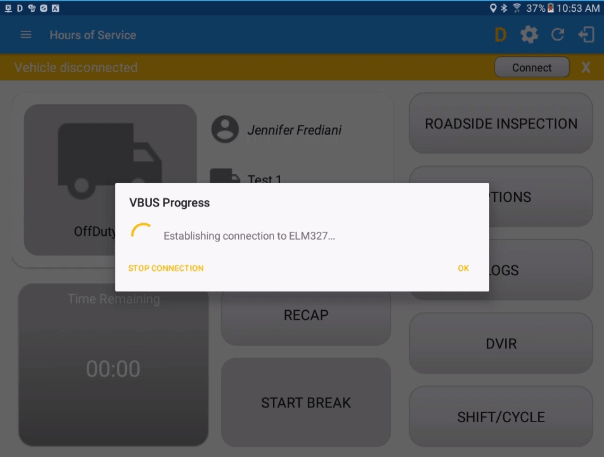 VBUS timeout error to establish connection Note: The app will automatically disconnect from the device after attempting to connect for 1 minute and 30 seconds without receiving any data from the VBUS device.